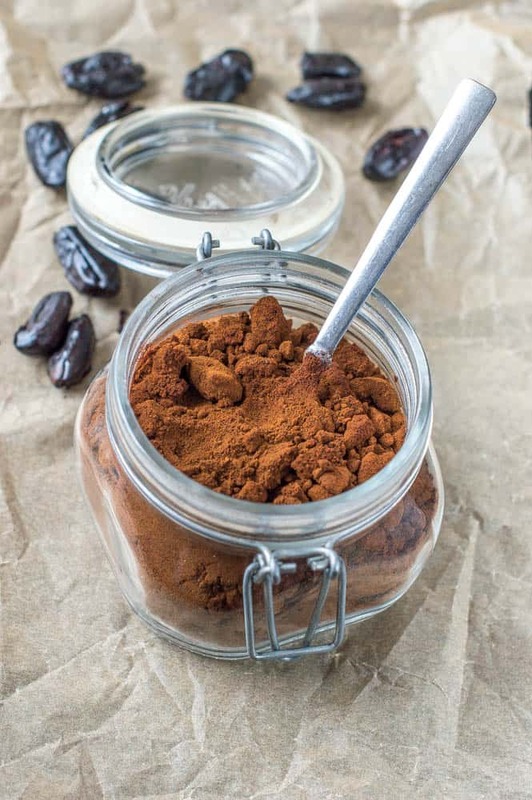 Date sugar recipe – A one ingredient alternative sweetener that couldn’t be made any easier by using this step by step guide. It’s been quite some time since I did a tutorial post. I don’t like to overwhelm my readers too much with “how to” posts so I often submit them periodically. Anyway, today I’m going to teach you how to make your own date sugar and I promise you will LOVE it. If you haven’t noticed before I’m quite found of using dates in my recipes and I like to use them in various forms. 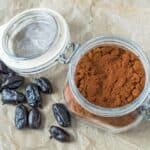 Sometimes I will use them in their entirety in a smoothie and other times I will whip up a batch of date paste and add it for sweetness to a recipe. Nowadays more people shy away from processed white sugar and seek healthier ways to get their sweet fix. I’m a huge fan of the many diabetic, slow releasing sweeteners such as coconut palm sugar, agave nectar and maple syrup. 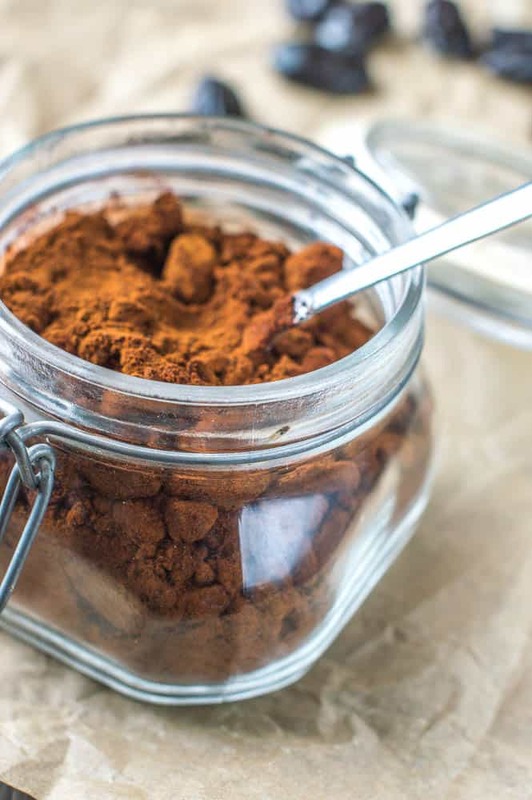 I’m quite partial to coconut sugar because it yields a lovely warm butterscotch flavour and really compliments so many recipes. 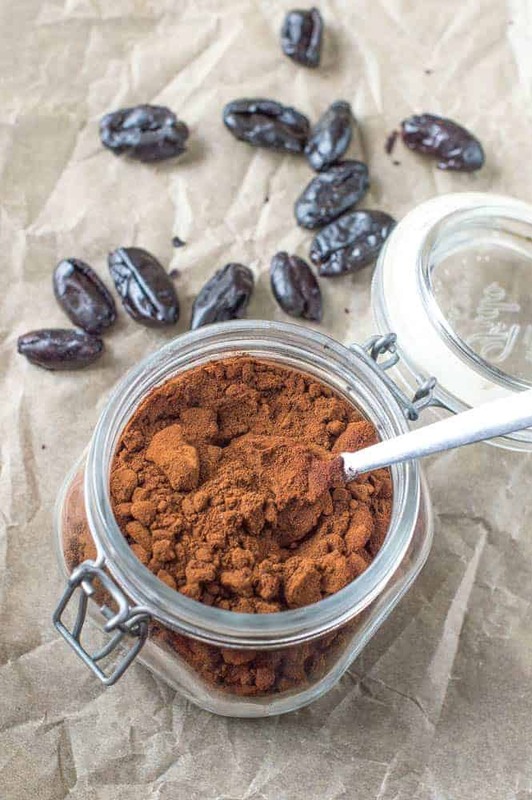 The sweetener that I would like to introduce you to is date sugar, yes you read correctly, DATE SUGAR…..now before you recoil in horror, there many health benefits in dates, so please bear with me. As a society we quickly get so transfixed on the word sugar that we fail notice that some of these fruits actually contain other health properties that actually nourish the body. Dates are great for promoting bowel movement due to their incredibly high fiber content. If you’re afflicted with constipation I would highly suggest adding a teaspoon or two to your beverage. We all know antioxidants contain cancer fighting agents, well dates are packed with them. Also potassium which is a crucial mineral and eletrocyte that not only induces muscle contraction but also has the ability to reduce sodium levels and boost the body’s metabolism. Another mineral to note is magnesium, great for keeping teeth and bones strong which lowers the risk of osteoporosis. This is how to date should look which is quite dark after roasting and will turn hard as the cool down. How long should I roast the dates in the oven for? Roasting the dates, it will take about 2hrs and 3o minutes. Please note the dates won’t be rock hard when they are taken out of the oven. Allow them to cool completely and you will notice as picture, the dates have darken and harden the colder than become. Grinding them in a coffee/spice grinder. I will go into much more detail further down, but you get the gist of what needs to be done. How should I store the date sugar? Once you have pulse the dates you can store the “sugar” in an air tight container for up to several months. Preheat the oven 150C/300F/gas mark 2. Spread the pitted medjool dates evenly on the entire baking sheet lined with parchment paper. Place the baking tray in the oven and allow the dates to roast in the oven until they are rock hard to not charr, so keep a watchful on them during the entire process. The dates should have reached the desired stage in approximately 2 to 3 hours..
Once done remove from the oven, set aside and let the dates cool completely. Once cooled and hardened, pulse the dates in segments using either a food processor/coffee grinder into a powdery form. The sugar may lump after pulverising, don’t worry this is normal and still be used. OMG this is so amazing! I never knew that dates could be used so! I’ve been trying to incorporate more dates into my diet. this is just perfect!!! Thanks so much! I didn’t know you could make date sugar. Will have to try this! Definitely! I hope you like it. Sweetening with dates seems to be very in right now! I do love coconut sugar, and of course maple syrup and honey, so I’m going to have to try this date sugar. Thanks for the great, easy recipe. Yes, another contemporary sweetener to add to the never ending list. I’ve never had date sugar before. Looks perfect! Such a great alternative sweetener. You are so welcome Emma, happy to have helped. Have seen it in the store before but never realized it was so easy to make. Thank you! I may try it with deglets instead of medjool just because they are cheaper. Thank you! Do you grind the pits as well? Hi Monique. No I used I removed the pits. If you have a high speed blender like a vitamix or blend-tech then leaving them in would be fine. However, to be on the safe side I would suggest removing them first. Do you use less or more date sugar in things compared to white sugar? If so, what’s the ratio? Do you use date sugar at all in baking? I only use date sugar in some recipes as the taste is like caramel incomparison to white sugar. If using it in baking of would use 1/4 cup more as the sweetness is subtle compared to other sugar. How many grams of dates did you use for this recipe? I placed the Medjool dates in the oven at 170°, and, after one hour they were moist. After two 1/2 hours, they were still moist. Sorry to hear that. Try increasing the temperature a bit more? Has some of the moisture been removed? It doesn’t need to be super hard to achieve the date sugar just as long as most of the moisture is removed to make the sugar. Does baking for so long remove the nutrients in the dates? While any form of cooking will always remove some of the nutrients, because the dates are baked on such low heat, most of the nutrition can be retained. It’s non stick paper that stops the dates from sticking to the tray. It acts as a layer. Have you tried it with raisins? Do you think it could work? Thanks. Hi Sylvie. No I haven’t tried it with raisins. I think given how small raisins are you would need a VERY large quantity in order to successfully mill them into sugar. I’m not sure if you could successfully get them to become rock hard during roasting. I think a good alternative to dates would be prunes. Hi Sha. So glad to have another fan on board with date sugar. Just finished roasting them in the oven, it looks great. Cooling them now. Are they supposed to taste bitter after roasting? Hi Pelumi. Are you referring to the dates once have finished roasting? If so, not it shouldn’t have a bitter taste. They might be a very subtle burnt taste due to the length of time it takes to roast but definitely not bitter.